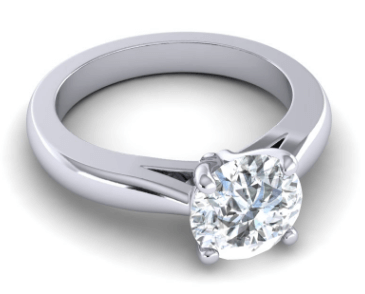 Design your custom engagement ring after celebrity engagement rings! Because of their infinite options when choosing “the” ring for their special lady, celebrity engagement rings are always intriguing. 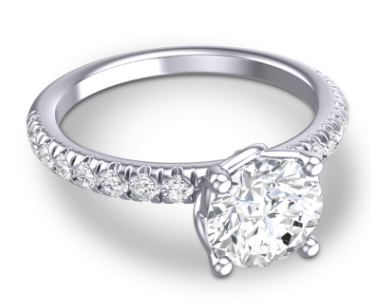 Since they often have a custom engagement ring, their “bling-blings” usually set trends for the upcoming season . There is no need to mention that they secretly compete whose gem is going to be more massive and expensive. At AZEERA, we also spy on the celeb rings in order to enable you to have the look-a-like Hollywood ring, even if you are not an A-lister! Check out the top celebrity engagement rings list in 2017 and take a peek at our customized versions. Just beware, you might end up liking them more than the original ones! At the premiere of The Legend of Tarzan, Margot Robbie certainly left an impression but not because of her outfit – her stunning and massive pink diamond ring on “that” finger really stood out. It seems that her boyfriend (or should we say fiancé) Tom Ackerley finally made her change her mind about her being "the ultimate single gal", like she confessed to Vogue. 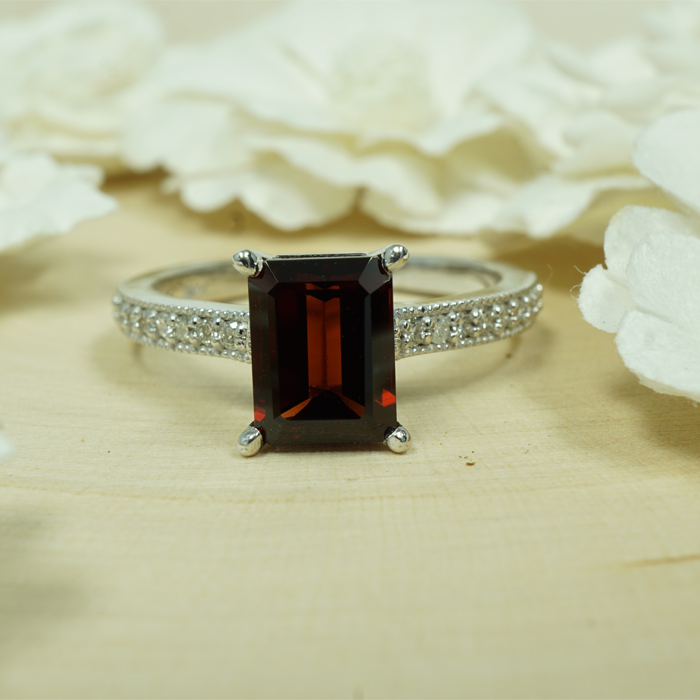 The price of this rare-stone custom engagement ring is still unknown but have a look at AZEERA's version of it and make sure your beloved wears it with a big smile, just like the happy actress! It's official! Kate Upton and Justin Verlander got engaged! Even though the couple isn't in a huge rush to tie the knot, Kate proudly showed off her stunning custom-made engagement ring. Like we said, celebrities adore unique rings, so hers was designed personally by her hubby. Oh, did we mentioned the price...$1.5 Million!? We all saw that cute Instagram video where Russell Wilson shared with the world that Ciara said "yes" to him...Probably we all zoomed in on the ring as well, right? Well, her 16-carat, $2 Million worth diamond ring is really eye catching! Even if you don't like the idea of sharing your engagement story on Instagram like Russell, believe us, your girlfriend will certainly wear a Ciara look-a-like ring proudly. 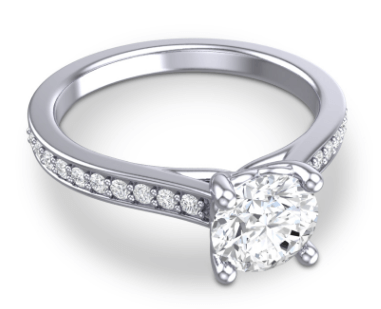 Design your own engagement ring at AZEERA! Everything about Miley Cyrus is scandalous, right? The same is with her engagement, or should we say, re-engagement with her hubby Liam Hemsworth after their 2013 breakup. Miley's fans were excited when she and Liam were spotted at NYC's Soho House with a bling-bling on her hand! The $250 thousand ring dazzles on her hand ever since so the rumors of this couple getting married should be true! Even though we are used to seeing Rosie Huntington-Whiteley dazzle the red carpet, her engagement ring stole the show at the Golden Globes! Jason Statham was seeking for a classic, yet unique ring, and as we heard, a $350000 worth diamond one was the right choice. Both Rosie and Jason are acclaimed style icons, so Jason's taste in engagement rings is worth copying, right? Everybody was surprised when Nicki Minaj showed off a massive ($75000 worth) heart-shaped ring, but unfortunately for her fans, she denied the engagement on The Ellen DeGeneres Show. Even though the wedding bells aren't going to ring for Nicki and her boyfriend Meek Mill, his ring choice can certainly be a great inspiration. The UnREAL actress is actually getting marriage to her colleague Freddie Stroma! Yes, she said "yes" to her off-screen hubby and naturally, all eyes were on her non-traditional, yet divine, blue engagement ring. 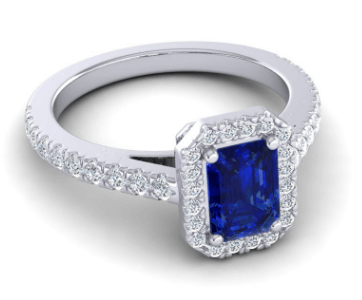 We must admit that this sapphire engagement ring is actually UnREAL, and that’s why we designed a similar looking one just for you. 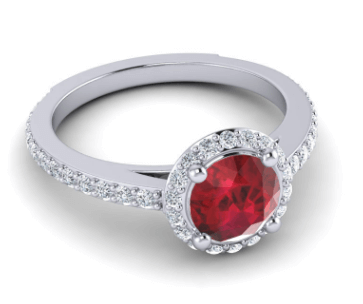 Here is our version of Johanna’s gemstone ring. 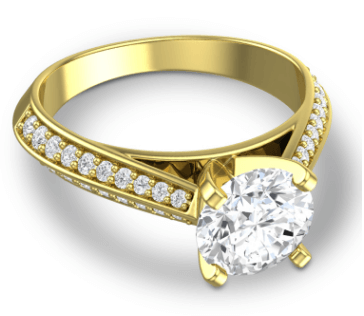 How you can create your own custom engagement ring? You certainly don't need to be a celebrity to make your lady feel like one! 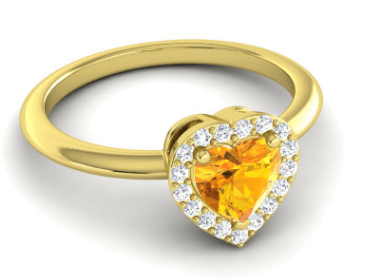 Let us know on Facebook or comments section which ring is your favorite or if we missed to include any to our list and we will customize it just for you! 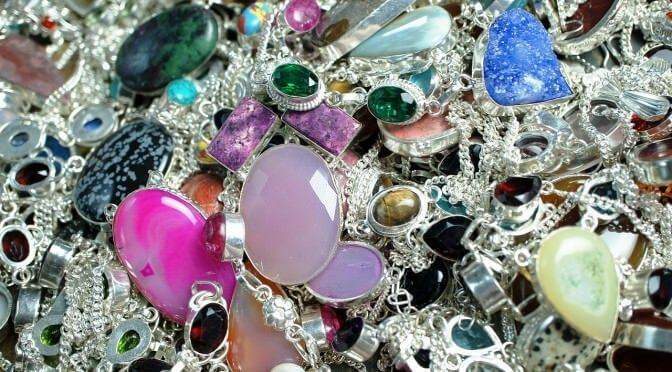 What Gemstone Rings are the Celebrities Wearing? Design Your Own!